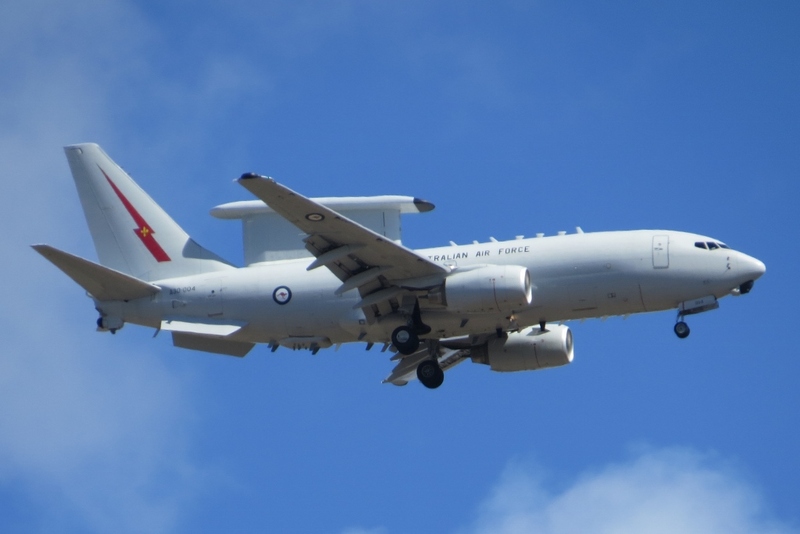 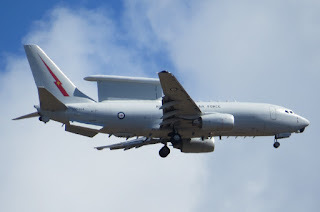 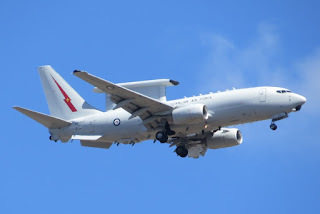 On Wednesday 25 July, Royal Australian Air Force (RAAF) Boeing B737-7ES / E-7A Wedgetail Airborne Early Warning & Control (AEW&C) aircraft A30-004 was photographed by local plane spotter Kayanne H as it was on final approach to Runway 33 at Rockhampton Airport. 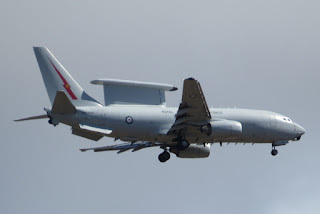 It then completed an overshoot and missed approach. 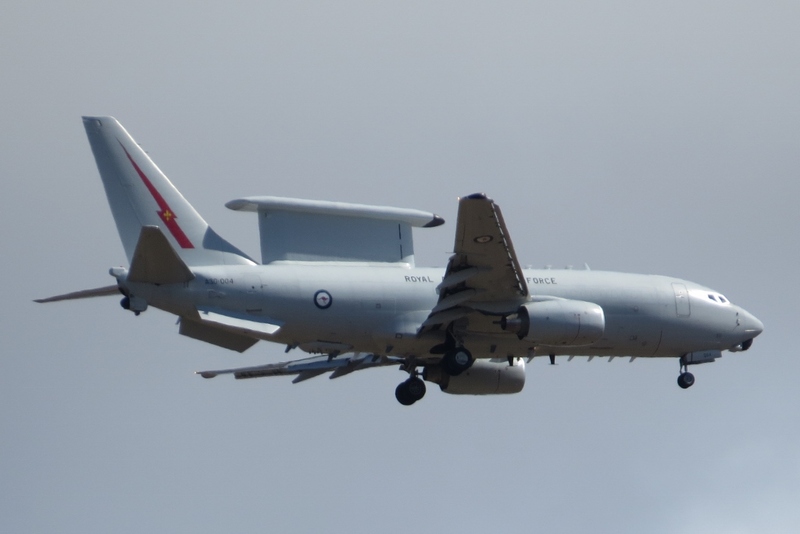 It appears that the Wedgetail flew up from the South and then returned down that way after completing the missed approach with it last heard to be heading to the Sunshine Coast. 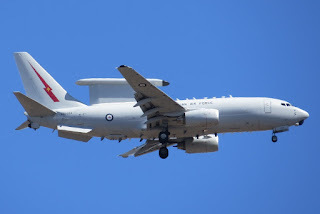 A30-004 was heard using the radio callsign of "Wedgetail 03". 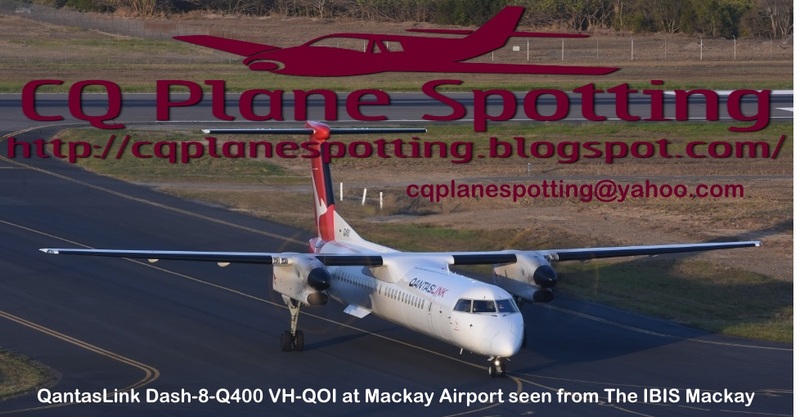 Sincere thanks to Kayanne for taking the time to capture and send through these great photos!